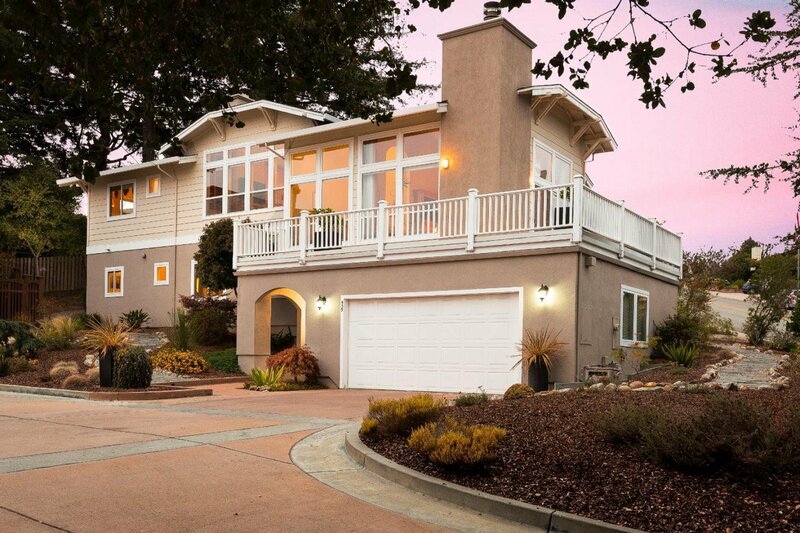 Gorgeous Ocean AND Mountain View Cabonera Estates Home! 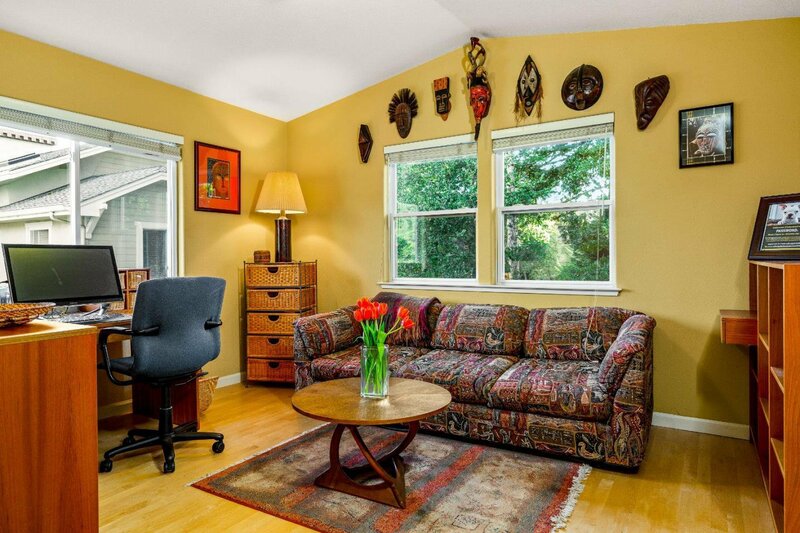 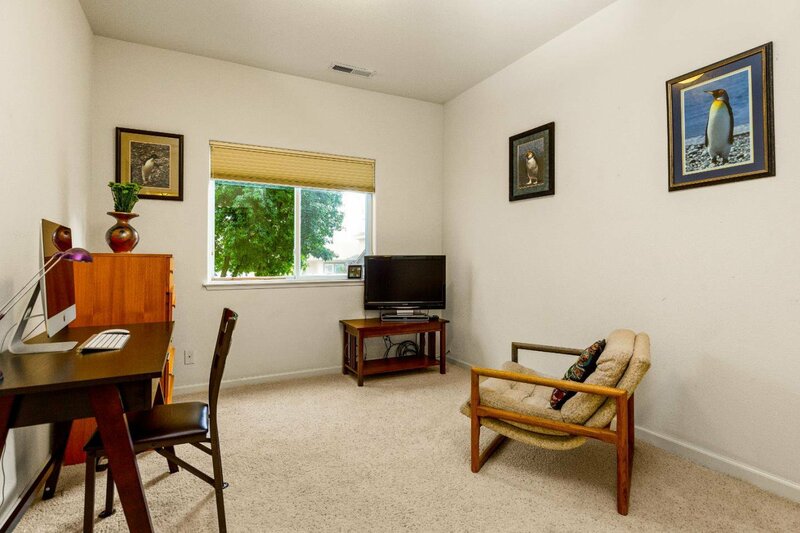 Spacious 3 bed home plus office and library w/great reverse floor plan. 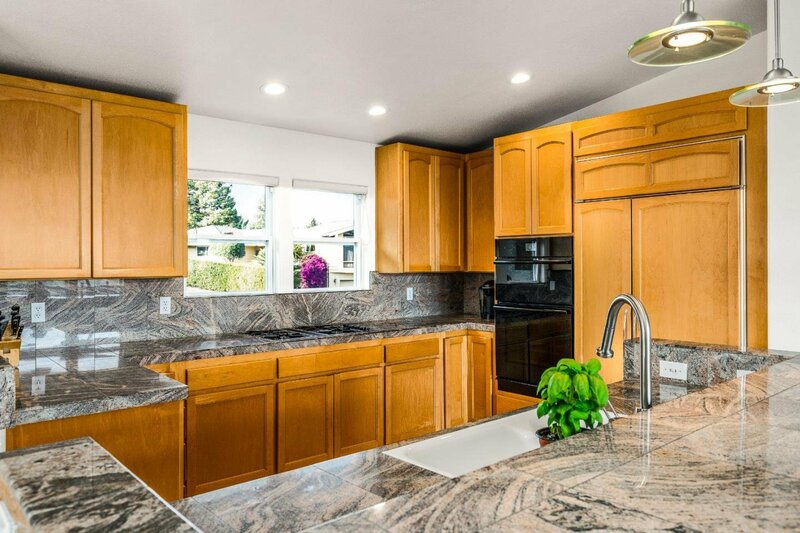 Large open gourmet kitchen with Granite tile, JennAir electric oven/convection microwave with downdraft gas stove top, Sub-Zero built-in fridge, and updated Bosch stainless steel dishwasher. 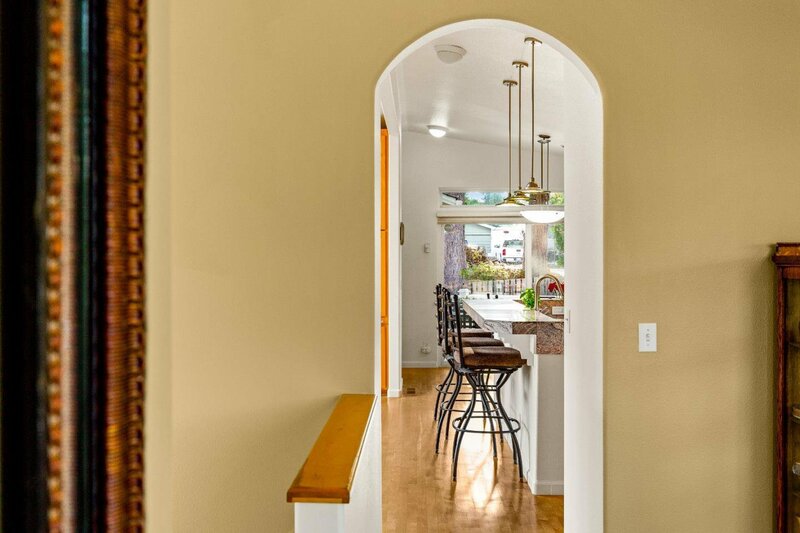 Elegant separate dining room; every room in the high ceiling home is drenched in light from large windows; custom shades from Hunter Douglas. 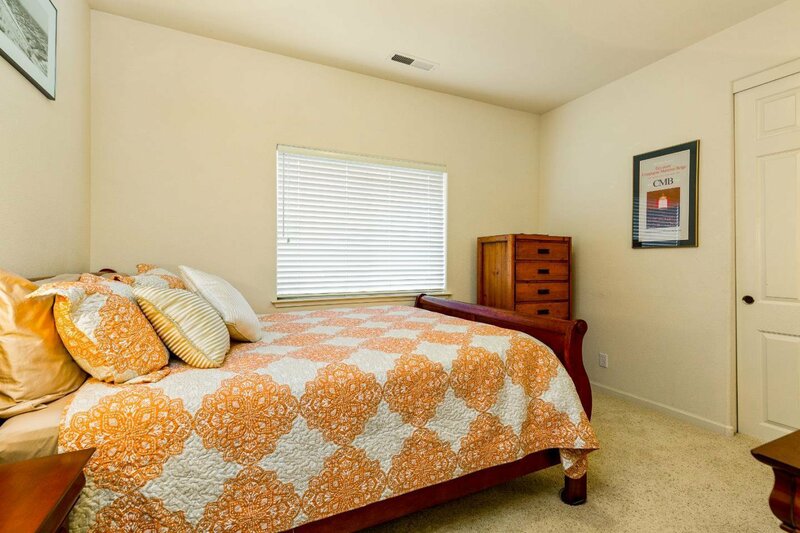 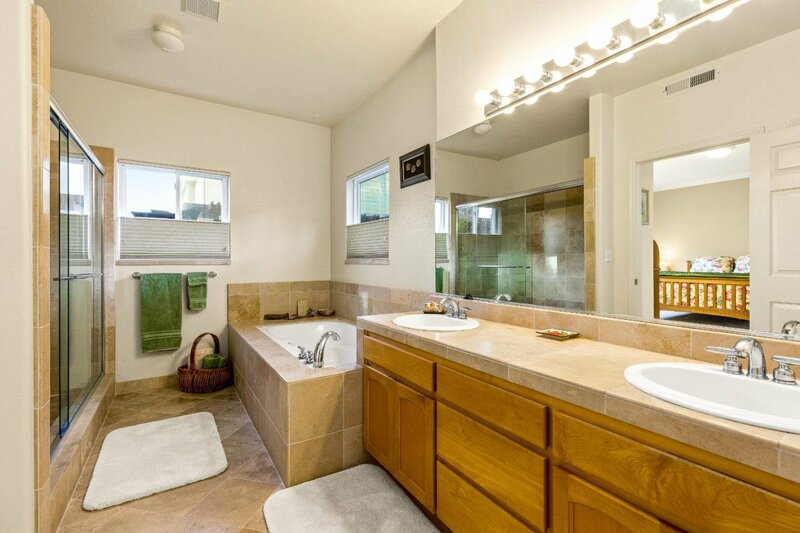 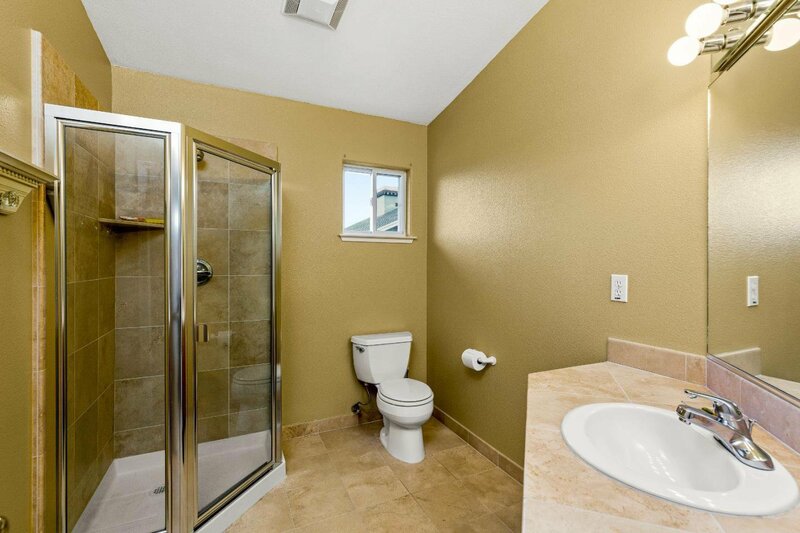 Large master suite has walk in closet, huge travertine bathroom with over-sized shower, double sinks and designed for privacy. 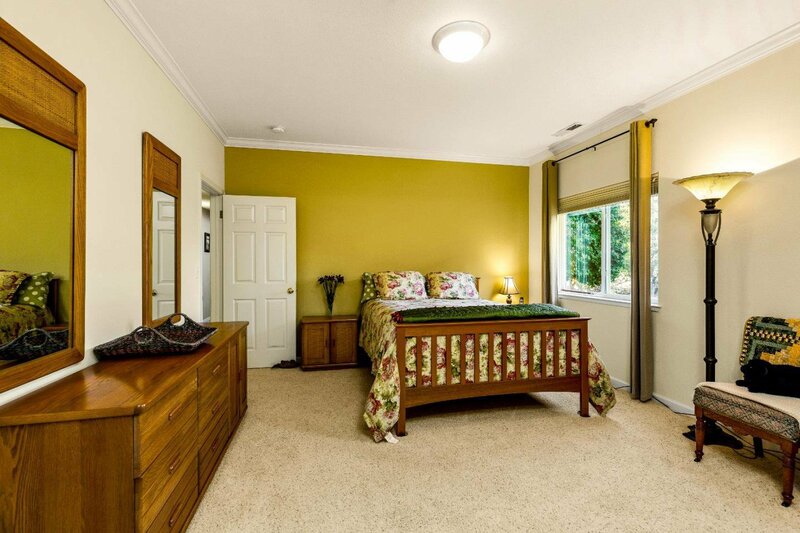 Throughout the home you will find an abundance of build-ins, closets, book shelves and display spaces. 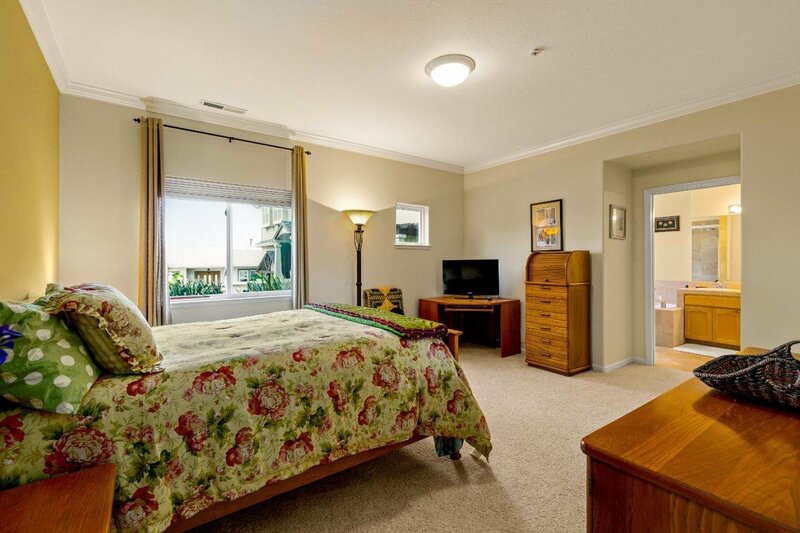 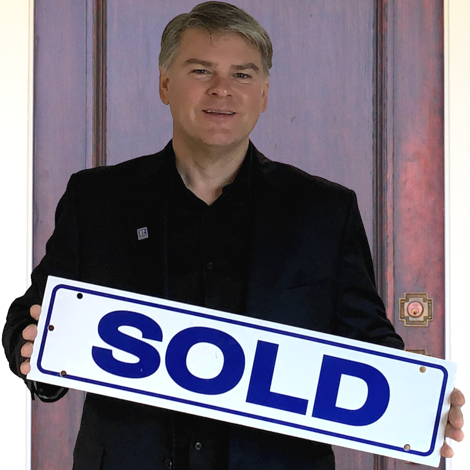 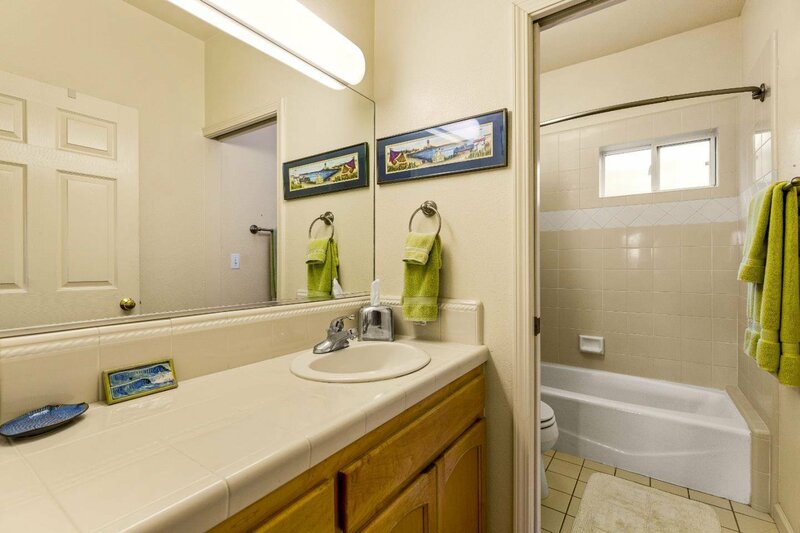 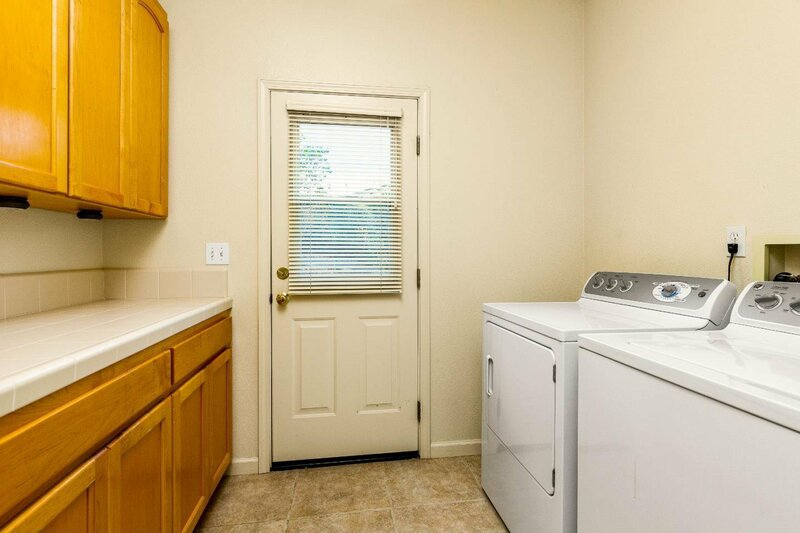 Many updates, lightly lived in, and well maintained. 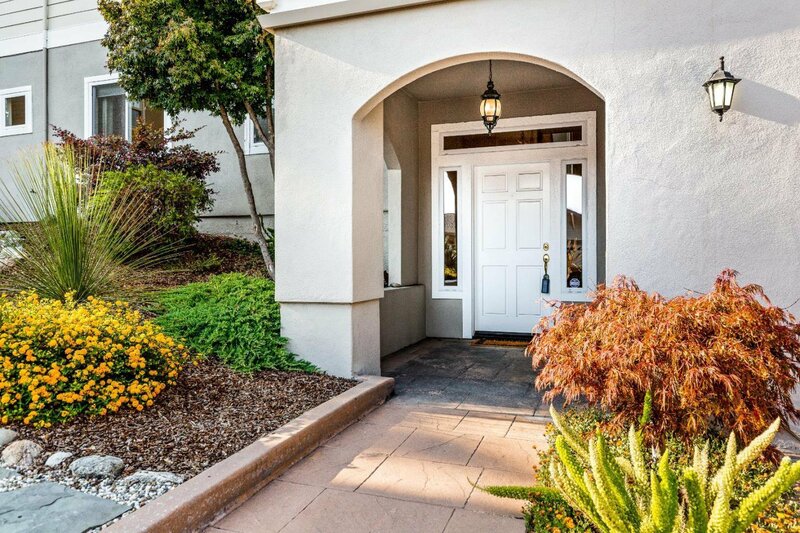 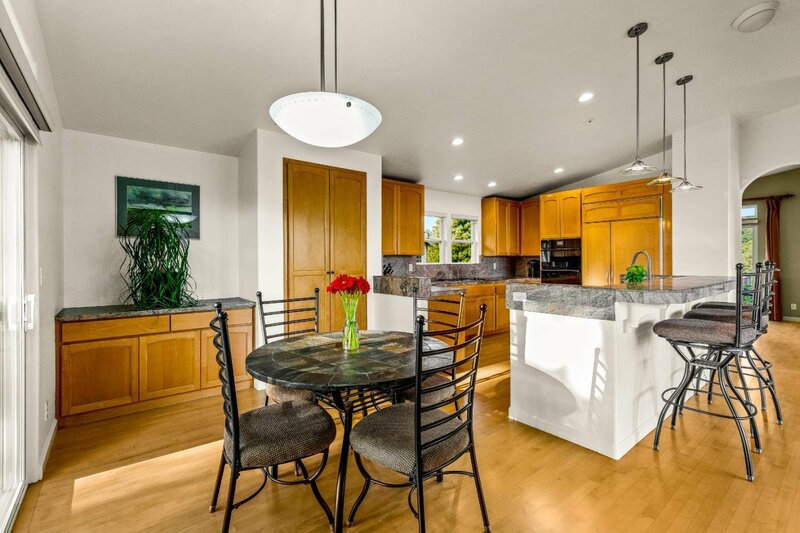 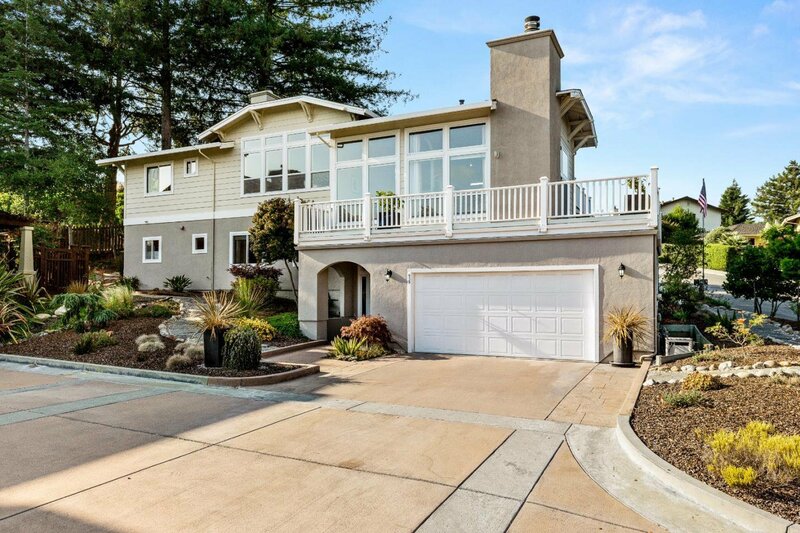 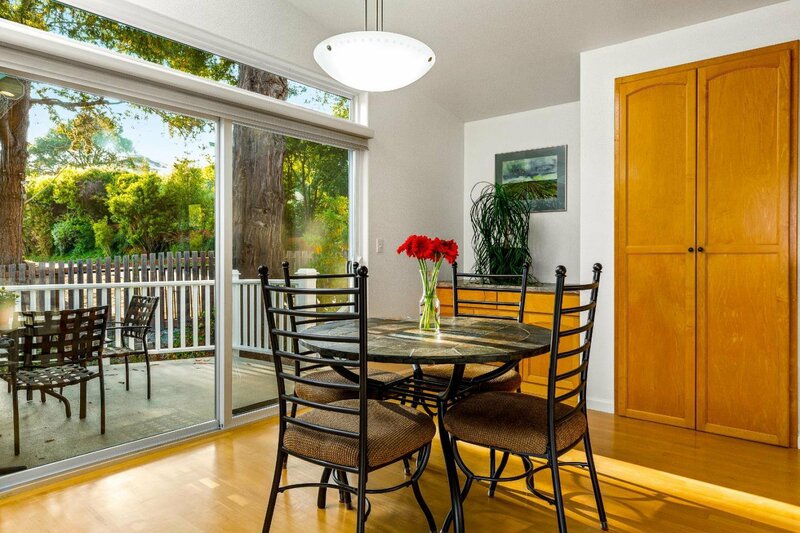 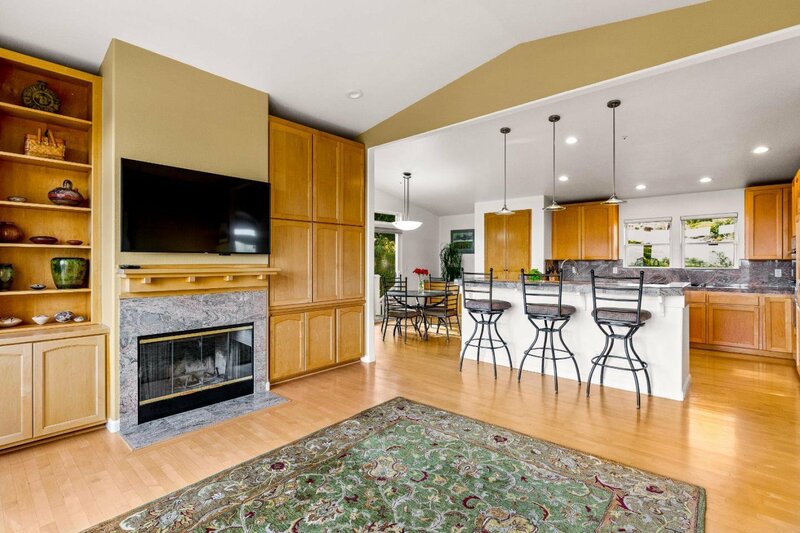 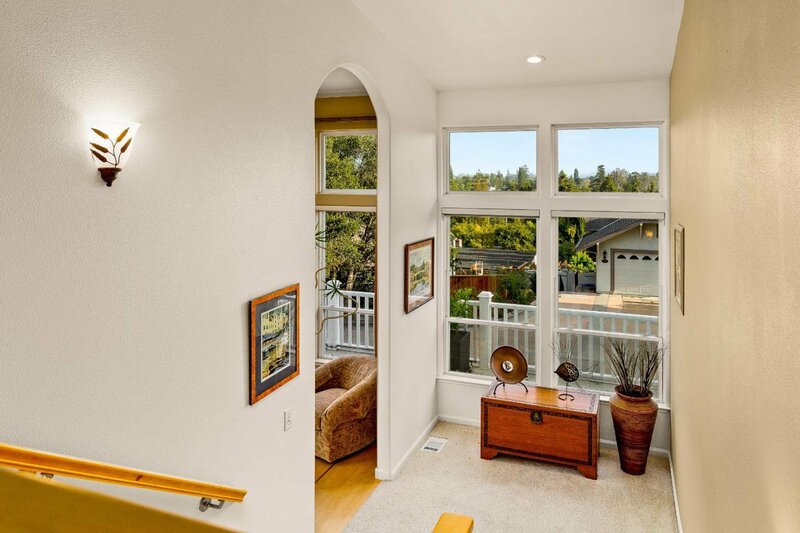 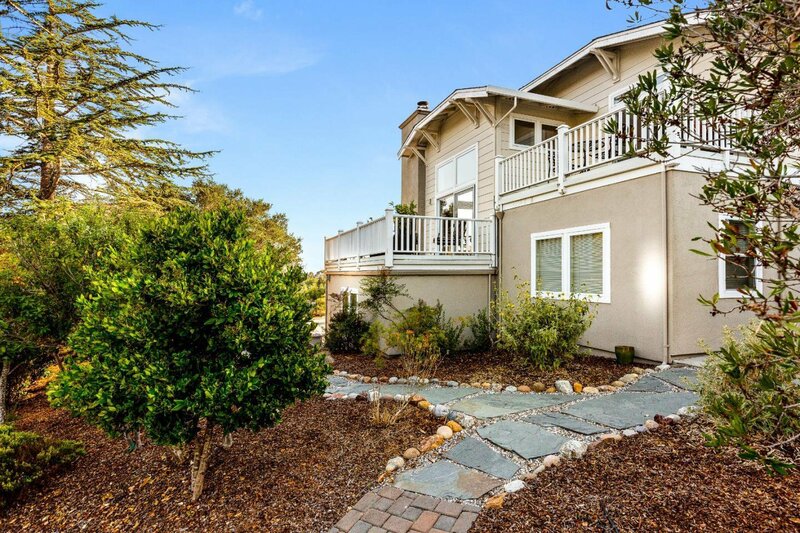 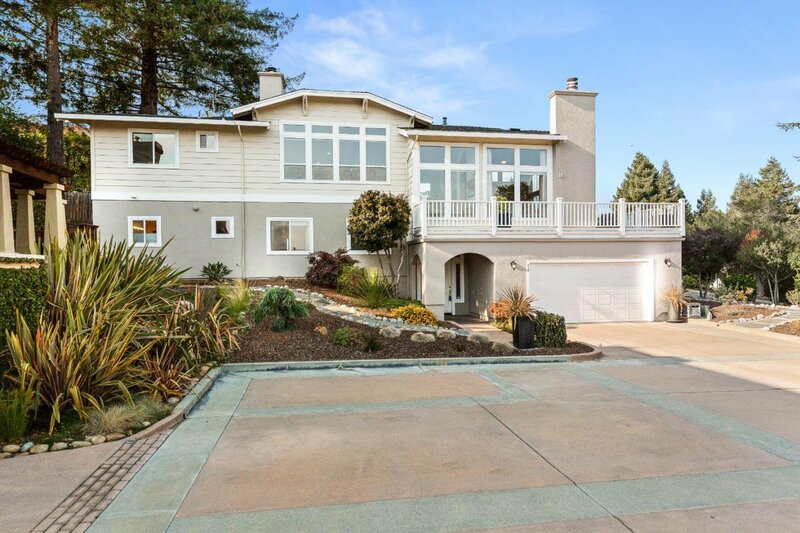 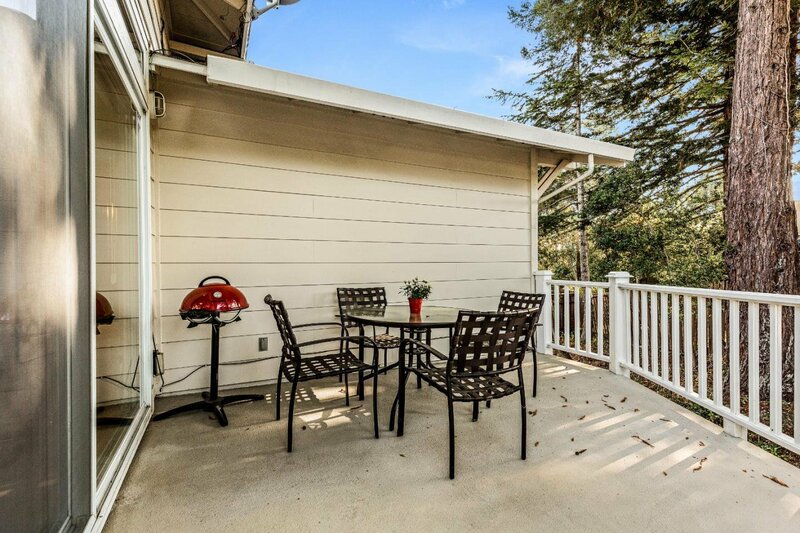 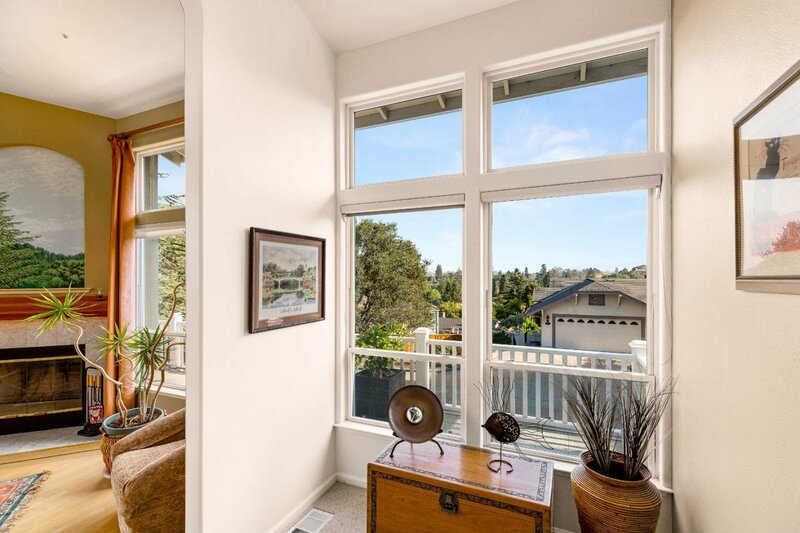 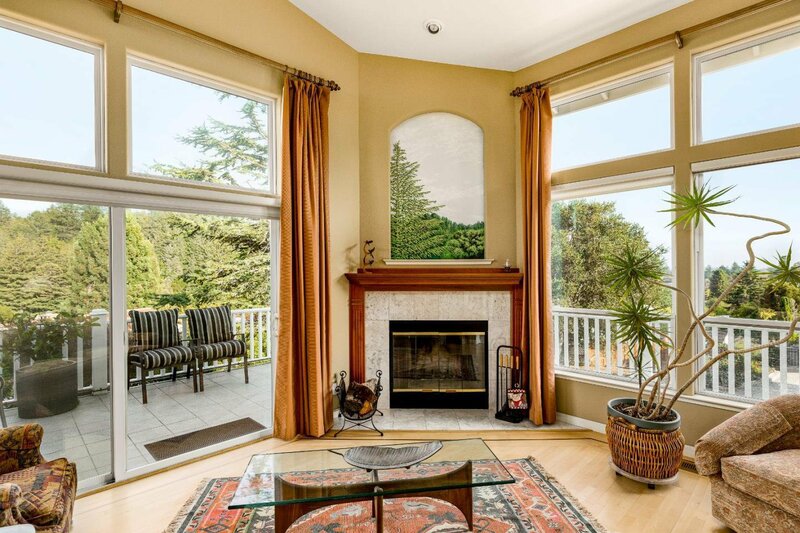 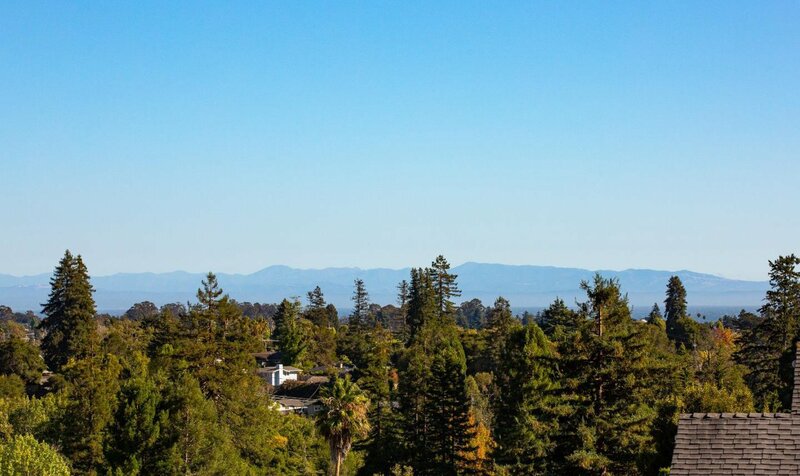 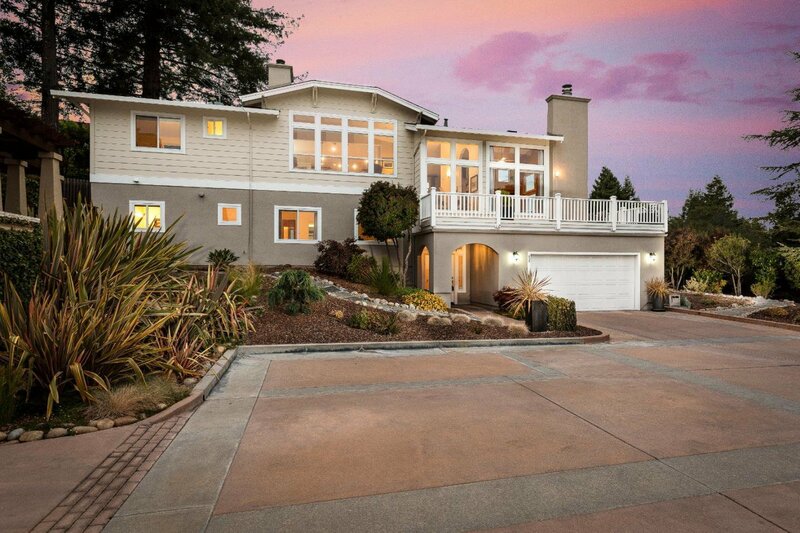 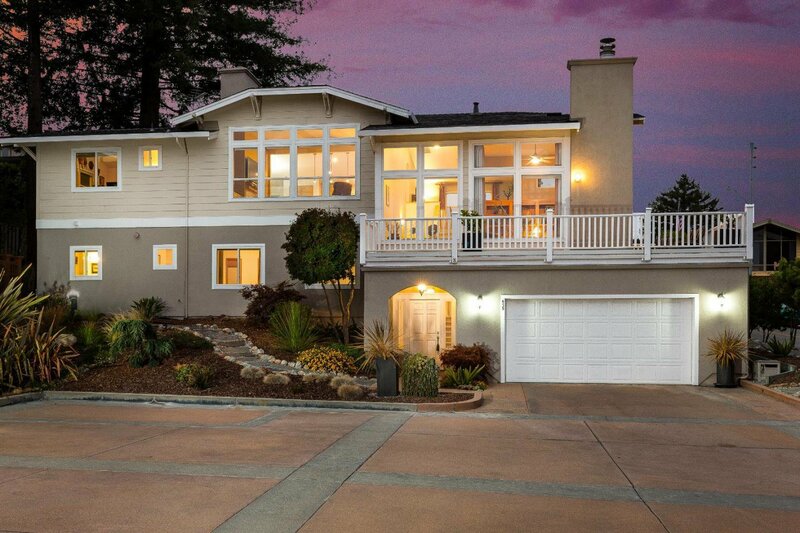 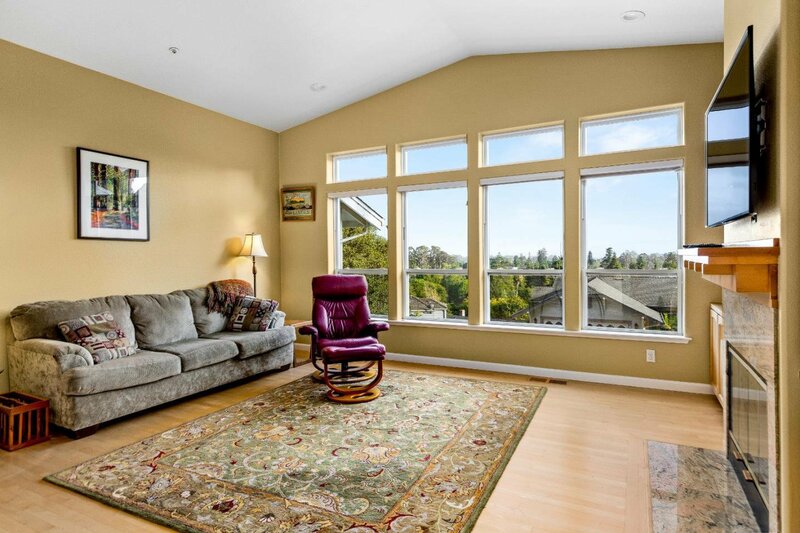 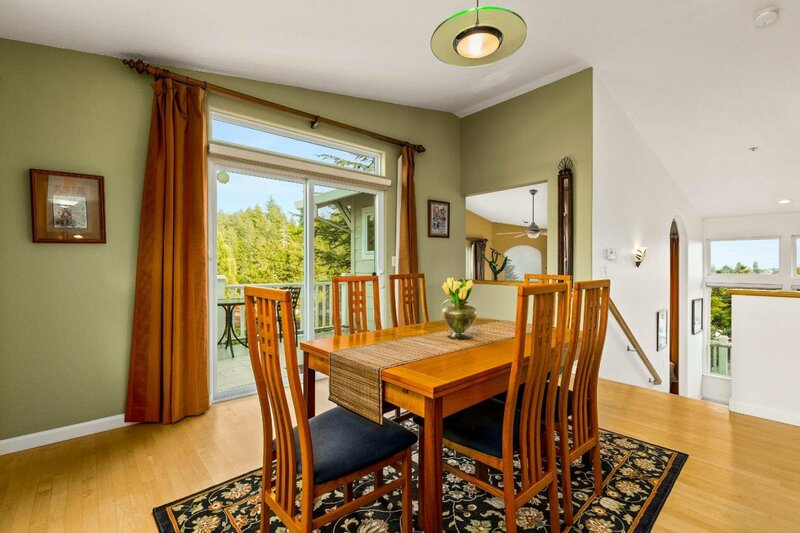 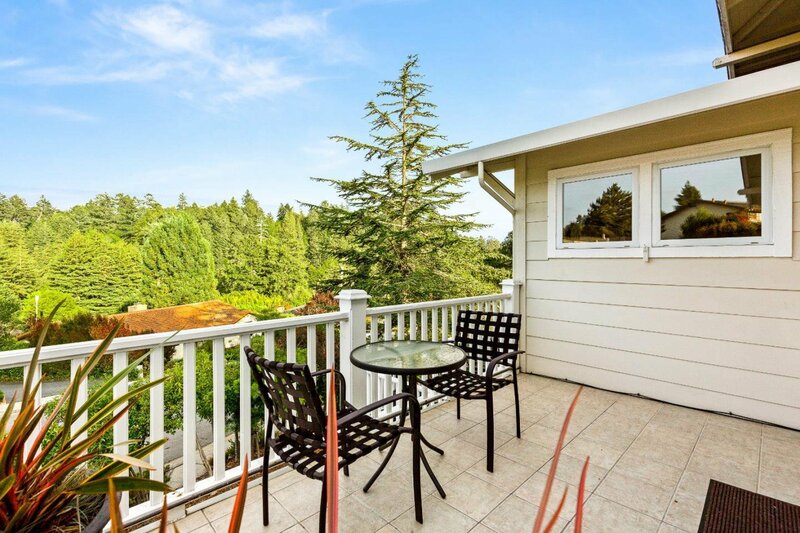 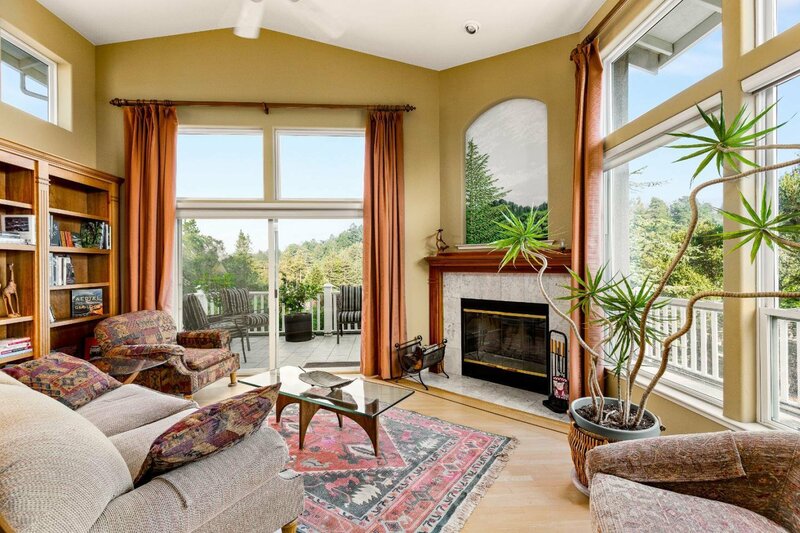 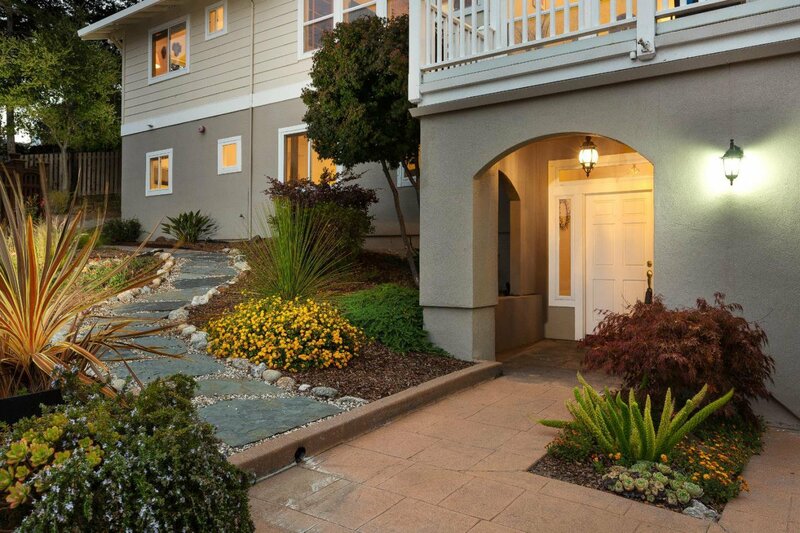 Located perfectly in hill top Carbonera Estates; commuter-ready access to Hwy 17 with convenient access to downtown, harbor, beaches and other Santa Cruz local favorites. 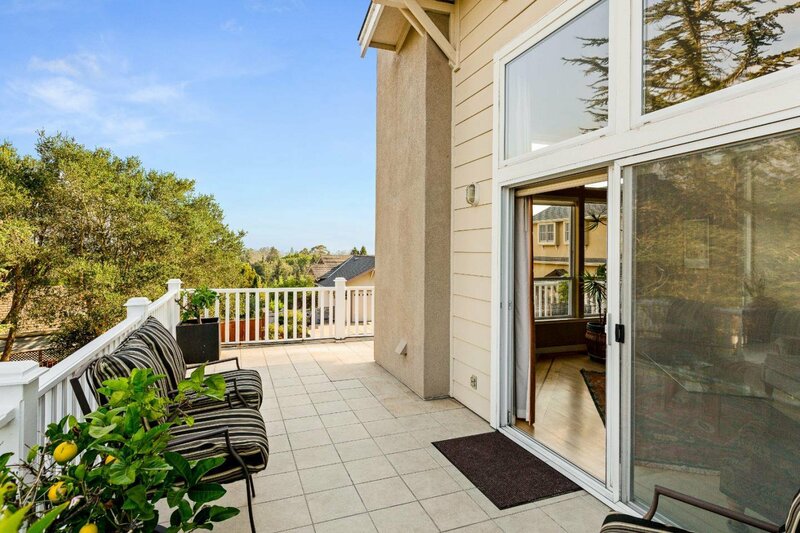 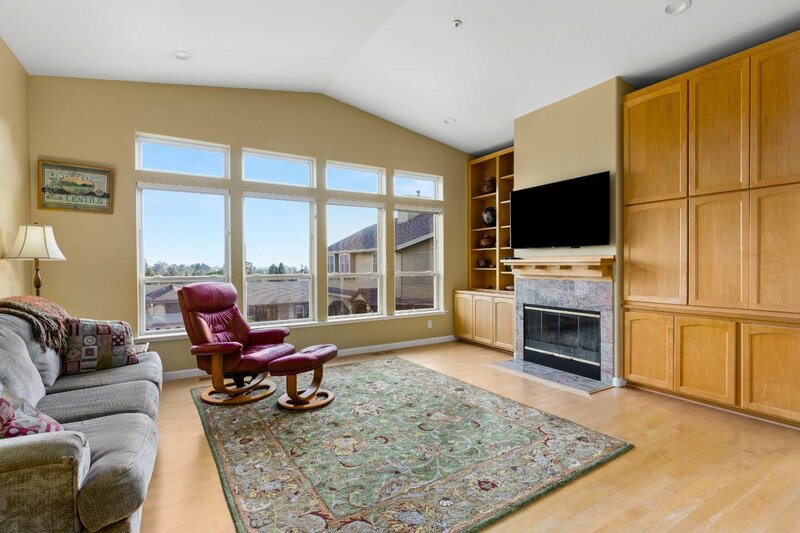 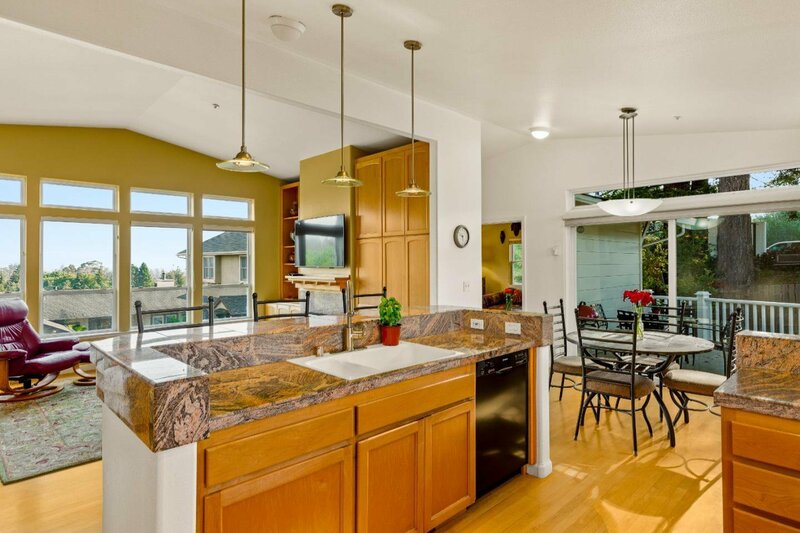 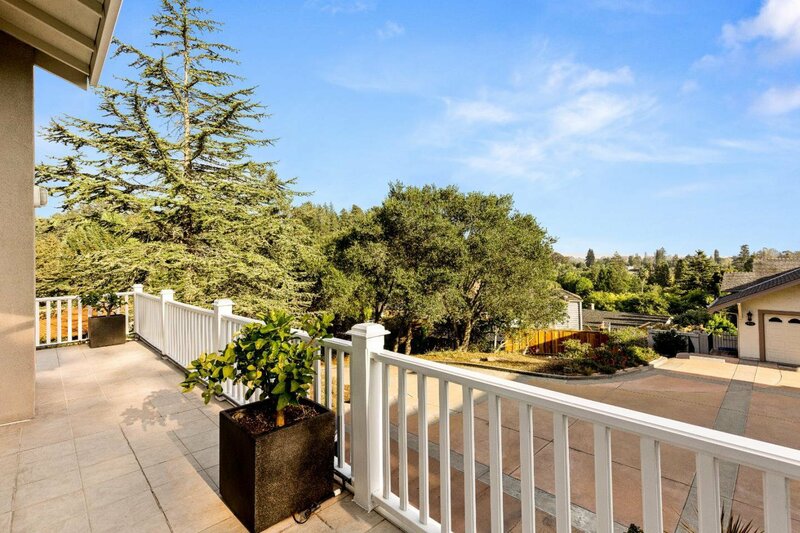 Views from spacious decks all around this beautiful home!